There are many tourist attractions in Kenya ranging from diverse wildlife, pristine beaches, tropical forests, spectacular lakes, snow-capped mountains, rivers to colorful tribal culture. The short video below by Magical Kenya shows the beauty of Kenya and some of the attractions and experiences not to be missed when on your visit to the country. It is Africa’s greatest wildlife sanctuary and the world’s most famous safari destination. All the Big Five (elephant, rhino, buffalo, leopard and lion) can be seen here as well as more than 500 species of birds. The great wildebeest migration takes place in the Masai Mara between July and October each year. One of the top tourist attractions in Kenya, Lake Nakuru is home to the greatest bird spectacle on earth. Over a million flamingos and pelicans can be seen here. Lake Nakuru National Park is also a sanctuary for the endangered black rhino and rothschild giraffe. Located in the central highlands of central Kenya, the park has spectacular waterfalls, icy rivers and rain forests. The black rhinos, elephants, buffaloes and other wild animals visit you in the floodlit waterholes. Other activities include picnicking, camping and trout fishing. This game watchers paradise in northern Kenya has a pleasant aura of vastness and seclusion. All the Big Five can be seen here as well as more than 450 species of birds. The grevy’s zebra, kudu, reticulated giraffe and gerenuk are unique to Samburu National Reserve. It’s one of the largest game park in the world and the largest in Kenya. Tsavo occupies 22,000 square kilometers and it’s divided into Tsavo East National Park and Tsavo West National Park. Both parks have an abundance of wild animals, birds and geophysical attractions. It is the only game park in the world located next to a metropolis. It is only five minutes drive from downtown Nairobi. Despite its relative smaller size compared to other National Parks in Kenya, it has a large and varied wildlife population. It is also one of the most successful rhino sanctuaries. Mount Kenya is the country’s highest mountain and the second highest in the continent. Batian (5,199 m), Nelion (5,188 m) and Point Lenana (4,985 m) are the mountain’s highest peaks. Batian and Nelion are for technical climbers, whereas Point Lenana can be reached by trekkers. Mount Kenya National Park is home to numerous wild animals including elephants, African buffaloes, black rhinos, tree hyraxes, various species of monkeys, bushbucks, waterbucks and elands. Lamu has an ambience of medieval romance and it is a perfect destination for honeymooners. There are few motorized vehicles and donkeys are used to carry goods. Lamu Town, on Lamu Island is a UNESCO World Heritage Site. It has beautiful sandy beaches, pristine coral gardens and spectacular marine life. Activities that you can enjoy in Malindi include dolphin watching, snorkeling, diving and bird watching. Mombasa, the gateway to East Africa is a great place to soak up the sun and the swahili culture. Tourist attractions include; beaches on the North Coast and South Coast of Mombasa island, the Old Town, Fort Jesus, Gedi Ruins, Shimba Hills Game Reserve and the vibrant nightlife. 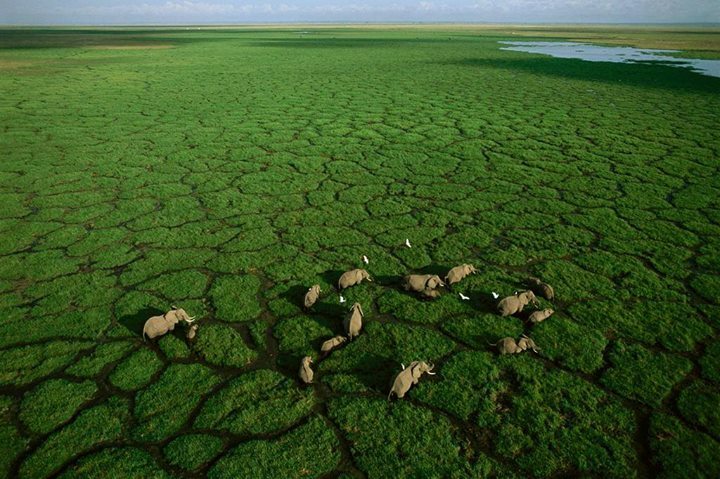 It is the largest permanent desert lake in the world, situated in the Northern part of Kenya. Also known as the “Jade Sea”, the lake is a true spectacle and changes color with the wind. It is rich in marine life including large Nile crocodiles. Kakamega forest is an attraction not to be missed by birds and butterflies enthusiasts. The forest is dubbed, “Canopy of Natural Beauty” and it is host to over 400 birds species, 300 butterfly species, 27 snake species 7 primate species and over 350 trees species. There are tailor-made tour packages that let you visit these and other tourist attractions in Kenya. Tours can be customized to meet individual requirements.